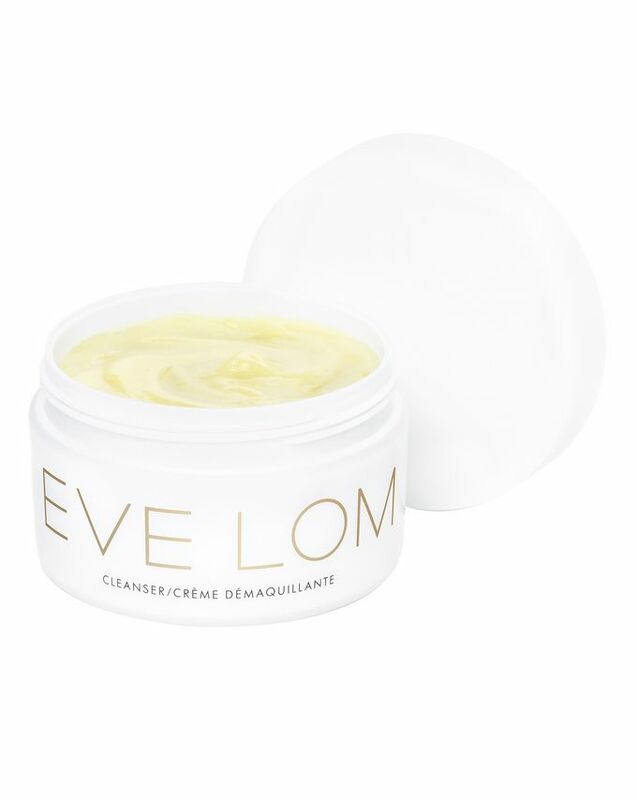 Developed by one of the world's leading facialists who is hailed as the 'Queen of Cleansing' Eve Lom's Cleanser has received more accolades than we've had hot chocolates! Vogue have called it "Probably the best cleanser in the world!" and this cleansing balm is a permanent feature in any beauty hall of fame you care to mention, including Instyle and CEW. Take a blob of the cleanser & warm it in the palm of your hand. Apply straight onto dry skin & massage in for a minute, starting with your face & finishing with your eyes (so you don't smudge black everywhere), spend extra time massaging where make up is heaviest & it will melt it away. Take your muslin dip in warm water & squeeze most of it away. Wipe away your eye make up, rinse the cloth again then hold it against your face to steam & activate the oils, then wipe it all away with cold water. So far (3 weeks) I have enjoyed using this product. I find the smell refreshing. The washing ritual is more time-consuming than usual, but it feels worth it. Basing on other reviews, I will be trying Emma Hardie cleanser next time for comparison. I can’t understand why people love this. I didn’t enjoy using it. Feels too oily even for a cleanser. Got this great sized sample in the goodie bag always wanted to try it as I love balm cleansers but this broke me out big time. I generally don’t get spots but after using this at night time the next morning I had spots everywhere and not small ones, some were really deep and pus filled, thinking it couldn’t have been the cleanser from one use I tried it again at night time and yet again the next morning I woke up to a face full of spots. Very disappointing as it’s such an expensive product just glad I didn’t fork out for it myself. I got a small size pot of this in an advent calendar and I could see the results after just one use. It feels luxurious and is a pleasure to use. The clove smell isn’t to everybody’s taste but I personally love it. My skin tone has evened out, it is soft and has smoothed out any little bumps. I was using a neals yard cleanser prior to this but this is far superior to any cleanser I have ever used. I look forward to using it every evening, in love!! This is just fab - I'm a busy mum who needed to revive and boost my tired skin. It's worked wonders! This product is really worth the hype. I cant even remember how many time I have repurchased this. This is one of the must-have cleansers in my collection. I feel safe when I have one. I do not use it everyday, because it has the small beads to exfoliate your skin. I use it twice a week to deep clean my skin with the muslin cloths. It feel like going to the spa. I use it to remove my makeup and do double cleanse afterwards. Some people can't stand the smell, but actually I quite like it. While I like the balm in general, for the price, I resent that the first ingredient on the inci list is a cheap filler (mineral oil). I won't repurchase for that reason alone. Eve Lom, you can do better. In my opinion this product is not worth the hype. Even though it does a really good job at removing face and eye makeup, I get the same results from my own oil mix and using a flannel to wipe it off. Taking 1 star off because of the smell - I can barely stand it. Another star off because of the price. Definitely can achieve the same results paying A LOT less. I also found that small amount of product is not enough to be able to massage it all over the face which makes me think that the product will not last very long - 3rd star off. Overall it is a good product and it does what it claims to do but it's very overpriced. I would not recommend and will not repurchase. While this cleanser has it's merits, it just doesn't compare to the Emma Hardie I'm afraid. Eve Lom didn't perform as well across the board, and I also didn't care for the smell. However, the Eve Lom packaging is much better and more robust than the Emma Hardie. Overall, I wouldn't purchase again, and I'll be sticking with my beloved Emma Hardie Balm. I took a travel size sample with me on holiday and had to use it for a while week. Works very, very well. Unfortunately, I couldn't stand the smell. Normally, I am OK with herbal/ medicinal scents but this one was so strong that after a week I couldn't bear it any more. If you are sensitive to smells steer clear from this baby. I've been using this since 2004 & I'm devoted. It always thoroughly cleanses and calms my skin no matter what the day or life is throwing at me! I am reviewing this on a sample product that i was sent during Cult Beauty's recent birthday celebrations. And the few uses I had have converted me. The cleanser consists of a yellow paste that smells of cloves and I was intially wary, believing that it would lead to breakouts. But it hasn't AND its even managed to reduce the size of some of the pores around my nose. I was unconvinced, however continued use has me convinced. Its on my wishlist and I can't wait to get started. 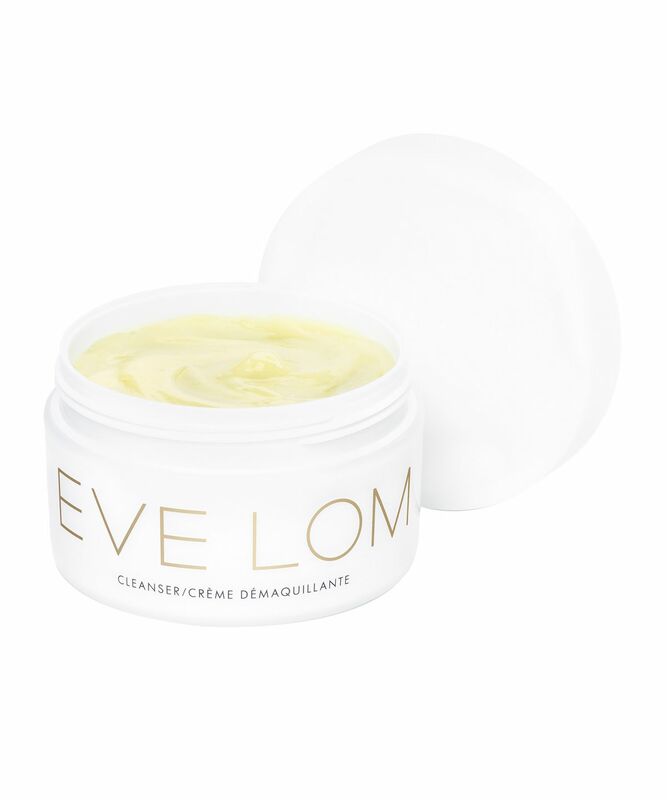 Bought this on a whim because I have loved other Eve Lom products. Used for the first time tonight whilst on holiday when skin can get dry but felt like a facial and skin feels so amazingly soft and hydrated. I know it’s a little on the expensive side but managed to get £11 off on the flight. However - having used it I would pay full price :) V happy. Not 5 star only because I don’t really understand why they ask to put over makeup? Doesn’t actually remove it - I remove it first. This product contains Mineral Oil, alcohol and parabens. You would have to be wise to stick with or prefer Emma Hardie. Emma Hardie smells and feels great and does the job in a way that surprises me. I remember the first time ever using Emma Hardie skincare, I put my make up on afterwards and noticed how soft my skin was. Normally after the cleansing ritual my dry skin soaks up all product and then I have to use a moisturising primer before applying make up. Otherwise skin can look horrible if you put foundation onto dry skin. But it went great with Emma Hardie cleanser and for the rest of the day people complemented the look and feel of my skin. And I was like "I have not changed anything in my makeup routine, what is up with people all of a sudden"?. It was the cleansing balm that is way more then just a balm. It somehow locks in moisture for the rest of the day, so your makeup looks flawless and your pores are less visible. I do not recommend this one as the smell is horrible and does make my acne prone skin worst. I got this as a sample and was super excited as I debated a while back whether to get this or the Emma Hardie. I’m glad I supersized the Emma Hardie because I didn’t like this! Firstly the product came out nice and thick which I liked but was taken aback by the smell. Was breathing through my mouth the entire time so I didn’t gag. It took makeup off just as well as the Emma Hardie though. I just had to wash my face with another cleanser after to take the smell away! Sticking with EH! This was my first experience of a balm cleanser and I had really high hopes. Unfortunately this product made my sensitive skin break out in small white spots (??) which I've never experienced before. I personally didn't enjoy the smell either. It does remove makeup well, so perhaps for less sensitive skin types this might work better but overall I wouldn't recommend. Bought into the hype of buying this, hate the gritty texture and it isn't smooth as the EH. Above all the smell is terrible, seriously clove??? I don't get the hype. Better results and much more relaxing and pleasant smell with EH or make your own oil cleanser without the mineral oil! Also the mask was dehydrating. Will not recommend or buy again. Got this in the Autumn goodie bag from cult beauty and didn't use it for a month or so. But once I'd tried it I really loved it straight away! Sure thing the smell is a bit too strong but this is nothing compared to the result it gives. First of all you can really feel and see how it cleanses your skin and leaves it so smooth and glowy. I also love this effect of hot and cold water, it's like a small spa treatment. I'll definitely will buy this again once it's finished. This does its job at removing makeup. But unsure whether this is worth the price. Definitely didn't cause any irritation or break me out but so as a lot of other products that are slightly cheaper. I received a tester of this back in September from a Cult Beauty goodiebag, and I never thought much about it. I used it just for the sake of it, but boy was I surprised. I hated the smell at first, but it quickly became a luxurious smell to me. After the first try I was impressed. It completely cleans your skin and smooth it so your make up can be applied perfectly. After using the tester, I went on to try another and did not have it for a couple months. When I got it back it completely balanced my skin again, and I have not had a blemish since starting to use this agin. I will always repurchase this. I love the smell. It does the best job deep cleansing a dirty face (removes make up and relaxes the skin especially after the whole day at work). It 's the best cleanser I've ever used. I will buy it continuously. Best thing ever. Cleans well, big pot is enough for a year for me. Doesn't smell that nice but you get used to it. Together with asian DHC oil it will be the best cleanser ever for me. I had often pondered why this product was such a beauty aficionados choice of cleanser, having always been wary of mineral oil based products. But my rational side figured it after all a cleansing product rather than a leave on treatment. The smell is quite different to any other cleanser on the market, pungent and somewhat medicinal which I love as it makes it feel like a real hard hitting product. This is excellent for massaging the skin and thoroughly dissolves the day. Crucially for me this leaves my combination skin feeling incredibly balanced, with a sumptuous silky texture, to the point where I wouldn't be concerned if I had no follow up night products. I now have this in a 500ml vat so as to never be without. Give it a go! Have never been much of a cleanser type of girl but I can't stop using this one. Texture feels soft and exfoliating at the same time and it really gets rid of all make-up/polution your skin might have. Also, love the smell (I think it's the cloves extract).